This author is writing straight from the gut…but, hopefully, not from real-life considering her background. 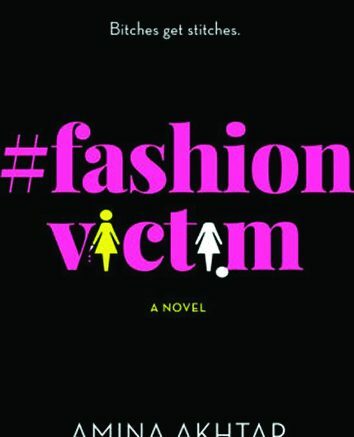 You see, Amina Akhtar is a former fashion writer and editor, and this extremely dark tale of the fashion world is her very first novel. Readers are introduced to fashion editor, Anya St. Clair. She is one of those “it” women who have everything going for them. Her social media is awesome and introduces the world to this literal fashion plate on a daily basis. The clothes filling her closets would have every woman drooling, and she deserves it. In a way… You see, Anya did not get all this without stepping on others in order to reach various rungs on the fashion ladder. And she has no remorse when it comes to how she attained it all. Sarah Taft, on the other hand, was born to be the best. A fashion icon, Sarah is beautiful, beyond wealthy, and has style: three gifts that make her Anya’s obsession. Anya wants nothing more than for Sarah to be her “best friend,” and has to deal with these feelings every day in the workplace where Sarah sits just one desk away. One day, however, Anya goes a little bazaka when it is Sarah who becomes her one and only competition for a killer promotion. In order to beat Sarah to the proverbial finish line, Anya will have to forget friendship and find a way to eliminate the competition instead. But when Anya talks about elimination…she’s dead serious. As I read this book, the characters reminded me a great deal of the dark movie, Heathers. Each twist and turn, watching one girl try to leave others (“popular” others) in the dust with some pretty diabolical planning, was a whole lot of sick fun. As stated in the beginning, all I can hope is that the author was not speaking from reality…and that another book will be written very, very soon. 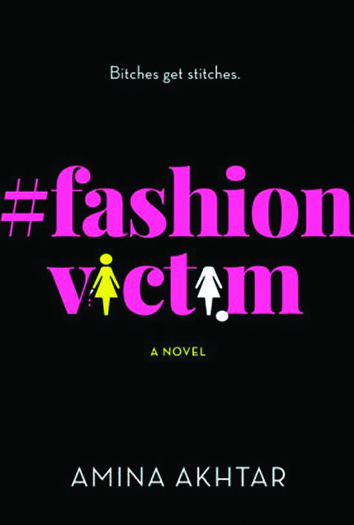 Be the first to comment on "“Fashion Victim” by Amina Akhtar"